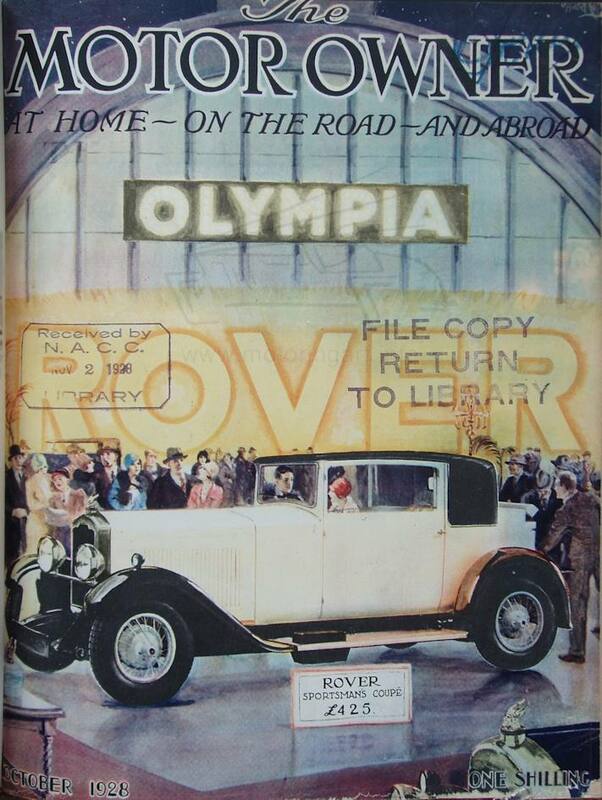 Rover advertisement front cover design for The Motor Owner magazine October 1928. 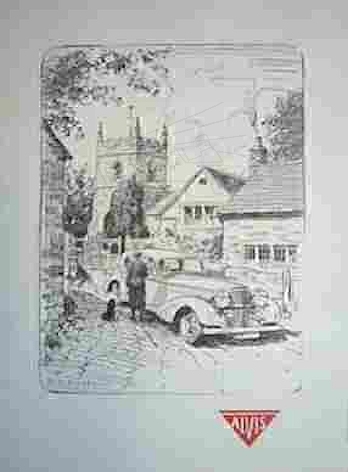 Also worked for the Rootes group producing sales catalogue art. 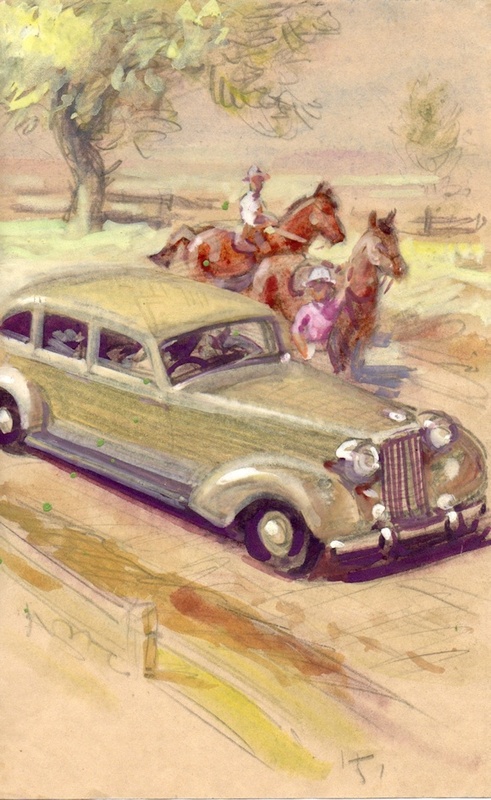 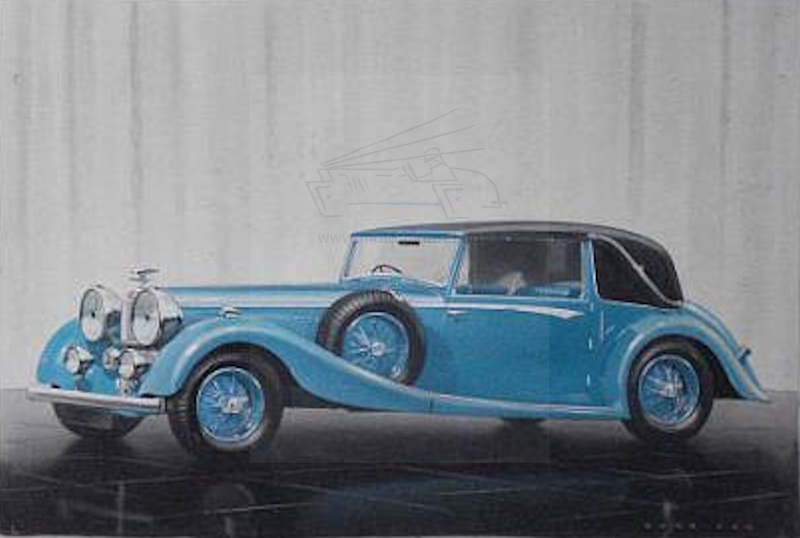 Did a lot of work for Humber and Hillman in the 1930’s. 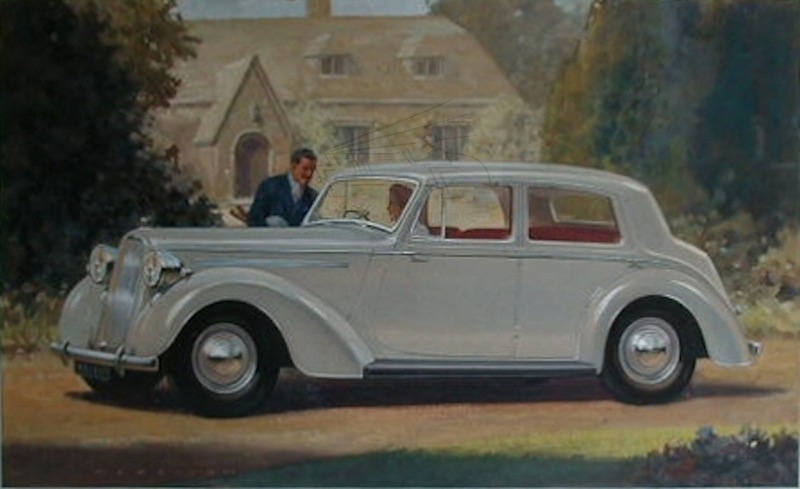 See Lots 402-411 Brooks 23rd April 2001. 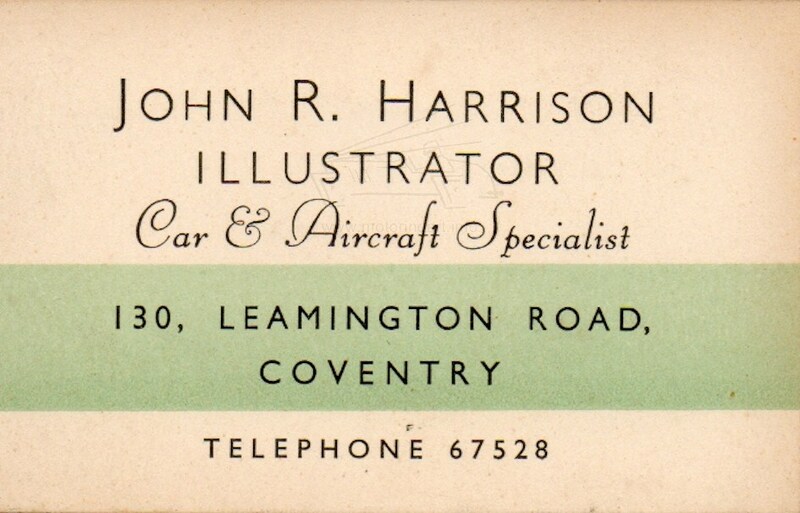 Interesting to see on his business card that he described himself as a Car and Aircraft specialist illustrator!